Media players have gained an eminent popularity among the cord-cutters since the rise of online streaming services such as Netflix, Hulu, and Apple TV, which are quite popular in the US and UK. One of the finest examples of a successful customizable media player is Kodi which works exceptionally well on your Mac. Kodi for Mac can be downloaded within minutes and also works on other operating systems. With cord-cutting, viewers get to cancel their cable or satellite TV service and opt for online media streaming services. In such times, a media player such as Kodi plays an effective role in providing a customizable media tool to the users and also supports hundreds of add-ons and skins so that the users can customize the tool as per their own requirements. 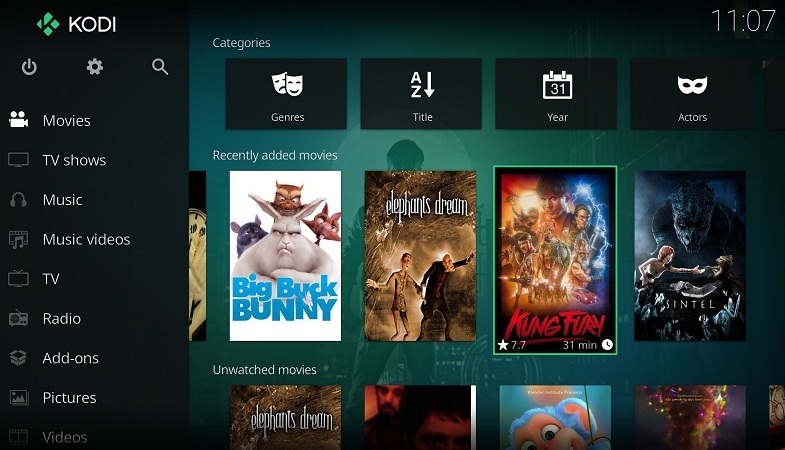 Formerly known as XBMC or Xbox Media Centre, Kodi is a media player that uses free and open source software, allowing you to stream music, movies, television series, and what not. It also allows you to store all the content in one location, making it easier for you to manage and stream your favorite content in a snap. Kodi offers a highly customizable interface, providing various add-ons, plugins, and themes. With an active developer community, it makes the well-designed media hub a natural choice for the media player users. 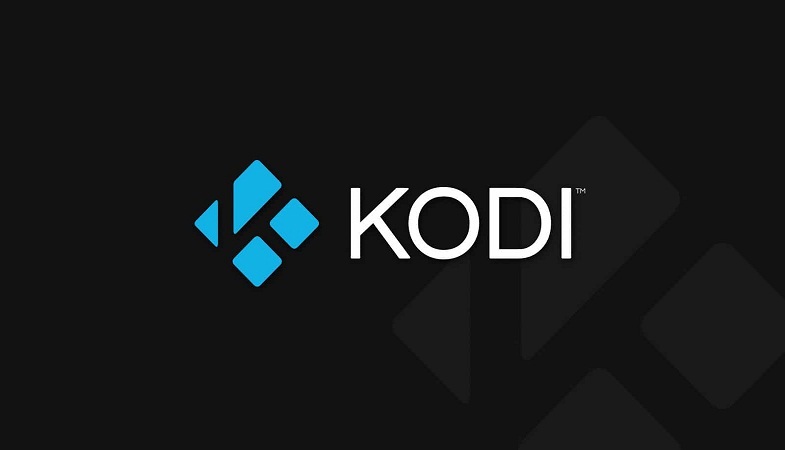 The app is available on Kodi’s official site for download on all the leading operating systems including Mac. It can also be downloaded on the iOS devices without having to jailbreak them. The setup process for Kodi on your Mac is really simple and can be completed within minutes. Here’s how you can download Kodi for Mac. Step 2: This is where you will get to choose your operating system. As we are downloading Kodi for Mac, so you will click on the macOS icon. Step 3: Once you click on the macOS icon, a new pop-up appears in front of you, offering to download from the three given choices; the Recommended release – a 64BIT installer; the Pre-release; the Development Builds, which are primarily used for testing bugs. We would suggest downloading the Recommended release. Step 4: After clicking the ‘Installer 64BIT,’ the installation process begins as a file appears in front of you in the form of a DMG file. Step 5: When the DMG file has finished downloading, open it and drag the Kodi app to your Applications folder. 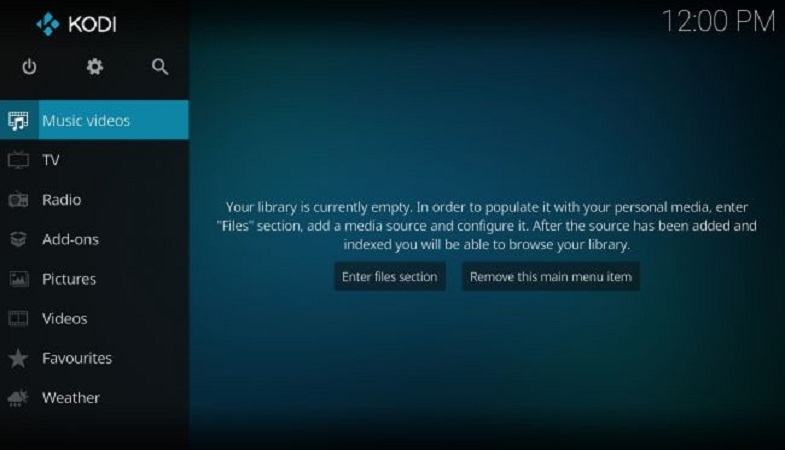 Step 6: Now open the Kodi app. In case your Mac fails to recognize the software and won’t be able to launch it, then right click the app and select Open from the drop-down menu. This will launch the app. On launching the app, you will come across a blank screen. Here you can add whatever files you want. Popular add-ons such as YouTube and iPlayer can also be added. Apart from these add-ons, others can also be added and you can get to customize your own Kodi media player. 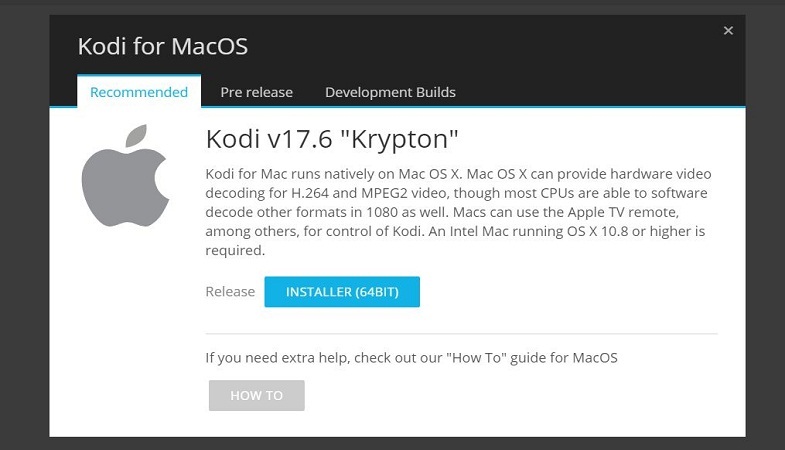 We hope this guide was easy enough for you to start with downloading Kodi for your Mac.